Furniture123 blog: Happy Friday! Celebrate with 5% off at Furniture123! Happy Friday! Celebrate with 5% off at Furniture123! 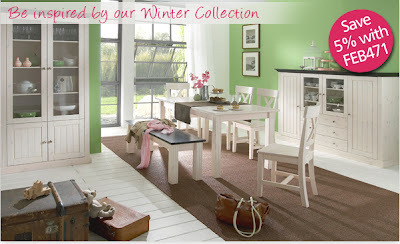 Browse our carefully selected Winter Collection, and find yourself some stylish new furniture. We’re also offering 5% OFF with code FEB471 UNTIL 9PM MONDAY! We offer FREE DELIVERY on every order, and over 3,000 items with FREE NEXT DAY DELIVERY.